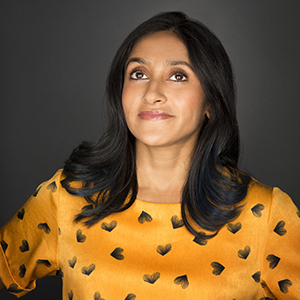 Aparna Nancherla joins the ladies to discuss James Deen, teeth, getting arrested and more! Then Foreign Exchange Student Matt aka Matt Kirshen drops by to find out how to meet celebrities. You can currently watch Aparna as Grace the belabored HR rep on the Comedy Central show, Corporate (Wednesday nights, 10/9c). She also just performed standup on Two Dope Queens on HBO and was the voice of Hollyhock on the most recent season of Bojack Horseman. Other acting credits include Crashing, Master of None, Love, and Inside Amy Schumer. Aparna was also named one of “The 50 Funniest People Right Now” by Rolling Stone. She also co-hosted the 2018 Women’s March Rally in NYC.